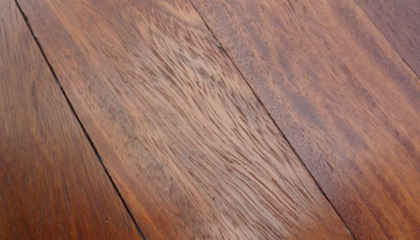 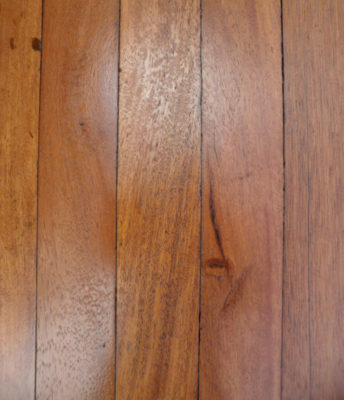 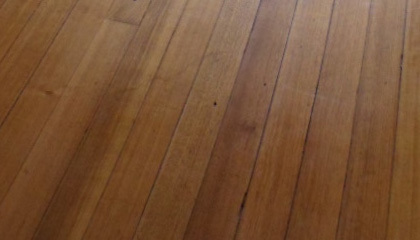 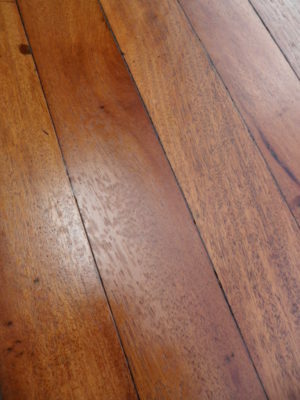 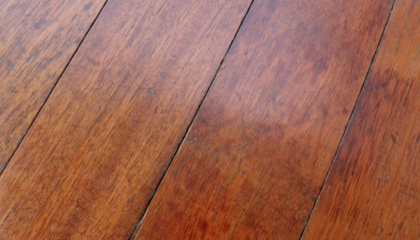 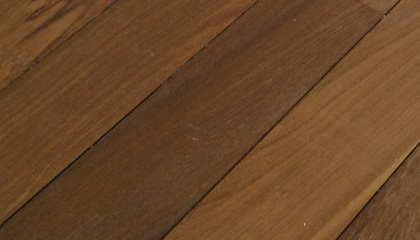 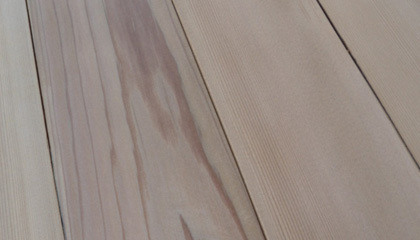 Kerruing strip often wrongly referred to as Mahogany comes from The African continent and is well known for its durability. 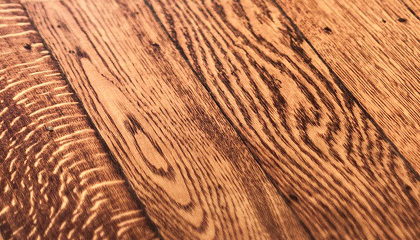 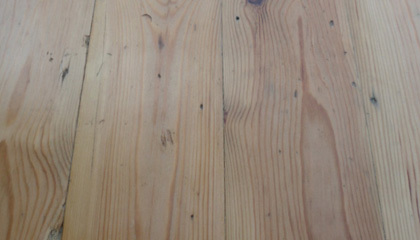 It’s interlocking grain and generous lengths lend itself brilliantly to the strip flooring format. 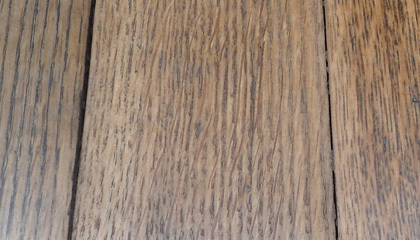 Tongue and grooved so suitable for secret nailing as with most strip flooring, it generally comes at 2.75 inches wide and sometimes 3.5 inches wide. 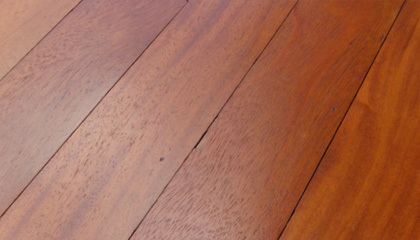 Light pinky red when the old surface is sanded back and darker once polished. 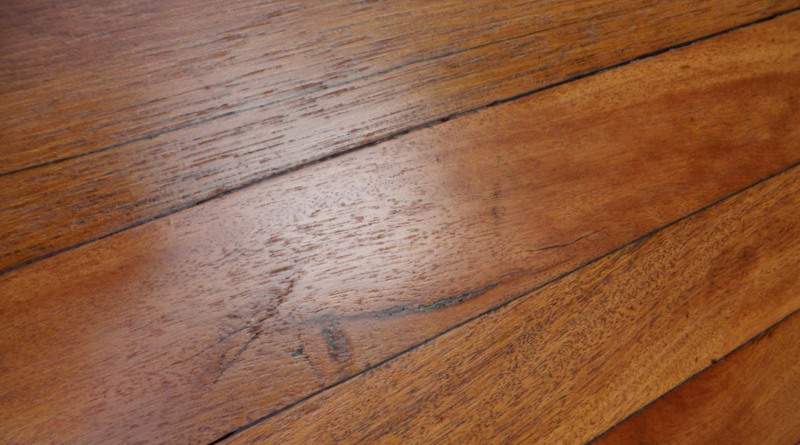 Often used in high traffic areas such as restaurants and commercial interiors.